We all know that taking care of our teeth is important and most of us sincerely try to take good care of them. Brushing, flossing, scraping our tongue, using mouthwash, we do a lot. Our mouth is probably the part of our body we take care of most often and yet tooth decay and gum disease are still some of the most prevalent diseases in the world. Part of the answer might be in our refrigerators, lunch boxes, and food orders. The difference between a stunning smile and too much time in the dental chair might be your diet. And while some of us think of food only as a villain to our oral health, the fact is better food choices can be part of the path to improved oral health. From preventing cavities and periodontal disease to even freshening your breath and whitening your teeth, the foods on this list can match the claims of the priciest toothpaste and mouthwashes on the market. Most of them are actually pretty tasty as well, so take out your shopping list and get ready to add some teeth-friendly goodies, courtesy of Warner Lakes Dental. Our number one suggestion is water. It’s just that simple. Water is a great mouth cleaner because it washes away leftover food and residue that cavity-causing bacteria love to eat. The bacteria in your mouth eat sugar and produce acid that wears away enamel, which is the outer shell of your teeth. Water sluices them out. It also dilutes the acids produced by the bacteria in your mouth. Drinking juice, soda or sports drinks on the other hand, can leave unwanted sugar behind. Water also helps you produce saliva. When you don’t produce enough saliva, you get dry mouth – a condition that makes it hard to swallow and chew because of a lack of saliva. Saliva is your mouth’s first defense against tooth decay. It washes away leftover food, helps you swallow with ease and keeps your teeth strong by washing them with calcium, phosphate and fluoride. Dry mouth may also put you at risk for tooth decay. Sugarless gum. A little bit like water, sugar-free gum helps clean teeth by stimulating saliva production. In addition, many varieties of sugarless gum are sweetened with xylitol, an alcohol that reduces bacteria. Dairy products—especially cheese—also contain casein, a type of protein. Research suggests that caseins, along with calcium, play an important role in stabilising and repairing tooth enamel. Elements of cheese can also bind to bacteria and keep them from attacking tooth enamel. High-fibre foods. Leafy vegetables and other high-fibre foods like kale and celery promote good digestion and healthy cholesterol levels. But they also do wonders for your teeth—mostly because they require a lot of chewing. A meal with spinach or beans gives our teeth something like a car wash. All the chewing you have to do creates more saliva, and the pieces of the vegetables and fruit work like little cleaning pads, removing bacteria, plaque, and stuck on food from on and between your teeth. Raw onions. Try a slice or two of fresh onion on your sandwich or salad. Research at a Korean University showed that raw onions have strong antibacterial properties. In one experiment, raw onions wiped out four strains of bacteria associated with cavities and gum disease. Of course, after eating raw onions you may end up with strong breath, so be sure to brush your teeth when you are done eating! Cashews. Cashew nut shell oil has been shown to have microbe-fighting properties against the bacteria that lead to tooth decay. As a bonus, cashews may also improve your skin! Our last suggestion may seem our most unlikely one. Eat Wasabi! Do you like sushi? Now you have another excuse to eat it. The wasabi that’s served with sushi has been linked to possible oral health benefits. Research in Japan has found that this green relative of horseradish can stop bacteria from sticking to your teeth. We want you to enjoy every day with a stunning smile and healthy mouth, teeth, and gums! 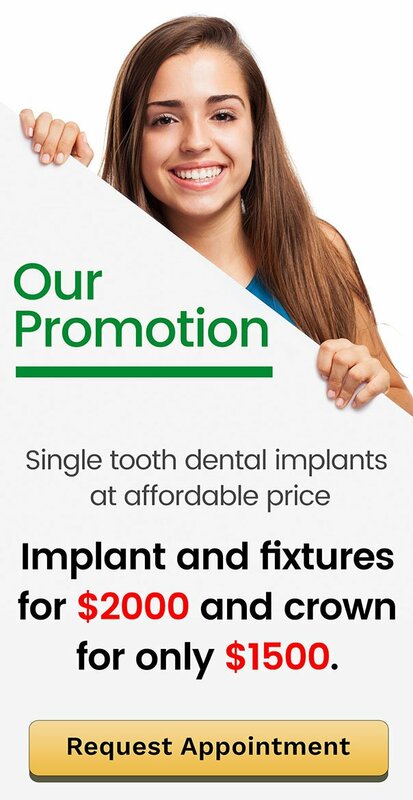 Call us on (07) 3448 0162 or request your appointment online today!